To check hard disk usage on Ubuntu from a terminal (command line), issue the following command in your terminal. After you issue the command, you would see your disk usage similar to the info given below. This post introduces how to install DB Browser for SQLite on Ubuntu 16.04. 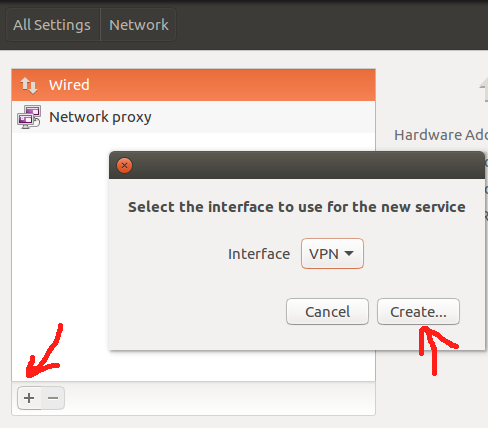 This post introduces how to setup VPN on Ubuntu 16.04 LTS using Cisco AnyConnect Client. 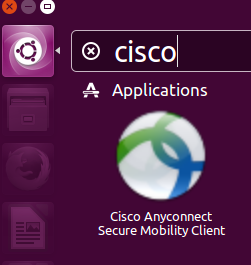 Step 1: Download Cisco AnyConnect client. Penn Stater can download at here. Step 2: Extract the file(s) and install as root. Step 3: Run the following command. We need to issue this command to show Cisco Compatible VPN in the list when we open network manager and add a new VPN. 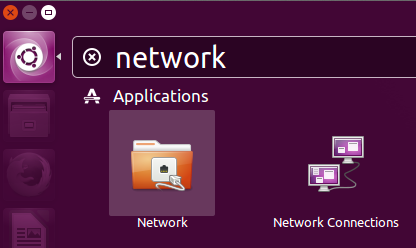 Step 4: Open Network Manager. Step6: Choose Cisco AnyConnect Compatible VPN (openconnect) and click Create. Type your VPN address in the connect to textbox, and then enter your username and psw. This post introduces how to read the first line of a file from terminal. 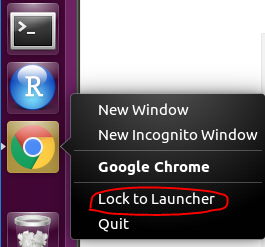 It works on both Linux (Ubuntu) and Mac OS. For getting top or bottom 10 files under a director from terminal (on Ubuntu and Mac), check here. Note: you do not need to install anything, it is built-in on your Ubuntu/Mac OS. This post get top/bottom 10 from the sorted file names in current directory. For reading the first line of a file from terminal (on Ubuntu and Mac), check here. # the pipe symbol (i.e., |) puts the output of the ls command as the input of the head command. This post introduces how to count the number of words in a pdf file using wc command. It works on both Linux (Ubuntu) and Mac OS. P.S. the wc command has several arguments, see below. wc -l: print the number of lines in a file. wc -w: print the number of words in a file. wc -c: print the number of bytes in a file. wc -m: print the number of characters from a file. wc -L: print only the length of the longest line in a file. This post introduces the simplest way to remove all double quotes in a csv file on Ubuntu (via terminal). Note: tr stands for translate. The d flag causes tr command to delete all tokens of the specified set of characters from its input. 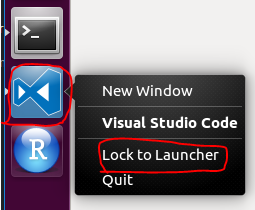 This post introduces how to install the nice text editor Visual Studio Code on Ubuntu. Open a terminal and type the following command into your terminal. 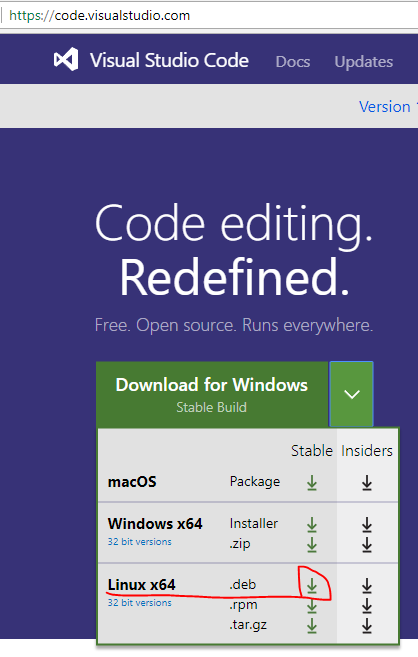 # use gdebi tool to install external *.deb packages like Visual Studio Code and Google Chrome. # gdebi will automatically fetch and install all Visual Studio Code dependencies. 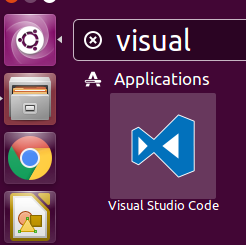 Step 4: Click “Search your computer” icon on your tool bar, and type in Visual Studio Code, you will see it’s installed on your Ubuntu. This post introduces how to install Google Chrome Browser on Ubuntu 16.04. # use gdebi tool to install external *.deb packages like Google Chrome. # gdebi will automatically fetch and install all Chrome dependencies. 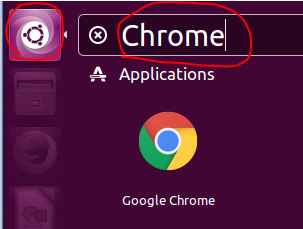 Step 4: Click “Search your computer” icon on your tool bar, and type in Chrome, you will see it’s installed on your Ubuntu.